Qatar Airways launched its new record-breaking Auckland service on one of New Zealand’s most significant days of the year – Waitangi Day. The world’s longest commercial flight takes 17 hours and 30 minutes, covers a distance of 14,535 kilometers (9031 miles), and is operated by a Boeing 777-200LR. Qatar Airways Group Chief Executive, His Excellency Mr. Akbar Al Baker traveled on board the inaugural flight from Doha to Auckland and was welcomed by The Hon Todd McClay, New Zealand’s Minister of Trade and State Owned Enterprises; and Auckland Airport Chief Executive, Mr. Adrian Littlewood. H.E. Mr. Al Baker said: “The launch of our new service to Auckland is an important milestone for Qatar Airways as we expand both in the region and globally across our network providing more options and better connections to exciting business and leisure destinations in Europe and the Middle East. His Excellency Jeremy Clarke-Watson, New Zealand Ambassador to the State of Qatar, added: “Welcoming Qatar Airways to New Zealand, through this direct service, is a significant event in the New Zealand Qatar relationship – opening up greater people to people and business to business connections between our two countries. Passengers travelling on the inaugural flight were welcomed on board with special cupcakes, in addition guests travelling in Business Class received a celebratory Kiwi Rose Fizz mocktail, both created to commemorate the new service. Bespoke menu cards and beverage lists inspired by a traditional Maori carving were also designed especially for the occasion. Emirates will launch a series of new cabin products and enhancements in 2017 for both its A380 and Boeing 777 fleet. The multi-million dollar cabin interiors upgrade programme includes an enhanced Onboard Lounge for its flagship Airbus A380 aircraft. While retaining the trademark horseshoe-shaped bar, Emirates’ latest A380 Onboard Lounge will offer more seating space with a new seating arrangement along the windows on both sides of the bar. Inspired by private yacht cabins, each seating area will have a table and window view. Overall, the lounge can comfortably accommodate up to 26 passengers at a time, including 8 seated. The new Onboard Lounge will also feature an airier look and feel. Lighter champagne colours will be used in the cabin and lounge seating, accented by a glossy dark wood trim. Emirates will also introduce soundproof curtains to partition the Onboard Lounge area from the other cabins, put in additional soft ambient lighting options, new window blinds with integrated LED mood lighting, and subwoofers for surround sound. The lounge also features a 55 inch LCD screen so customers can view the latest flight information, or enjoy live TV broadcasts of the latest news or sports updates. You can now be amongst the first to discover the pristine island of Phu Quoc, a hidden lush paradise off the southern coast of Vietnam, and travel back to the bygone era of the early 20th century. 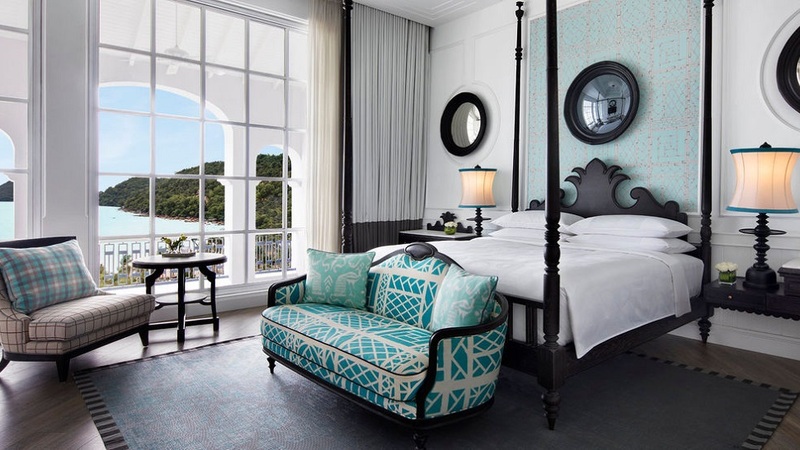 JW Marriott, the luxury brand of Marriott hotels, has opened a property on the island, JW MArriott Phu Quoc emerald Bay, with Bill Bensley’s whimsical design and exquisite detail in all 244 rooms, suites, and villas. The resort has 3 restaurants and contemporary bars, where talented chefs source local fresh produce and the finest ingredients from the world market, masterfully preparing authentic flavors. Meetings are redefined in the impressive 1,100 square meter meeting space. Whether you are looking to organize a world-class summit or unforgettable wedding reception, the hotel’s dedicated event team will ensure all requests are flawlessly fulfilled. A wide range of enriching experiences are waiting to be explored, from cultural events, artisanal shopping experience, ultimate indulgence at Spa by JW, to water activities at the resort’s private beachfront. W Hotels Worldwide, part of Marriott International, announced it will open W Prague in 2020. Owned by PPH Evropa s.r.o, W Prague will mark the brand’s debut into the Czech Republic, and will be located on Wenceslas Square in the heart of the buzzing capital city. 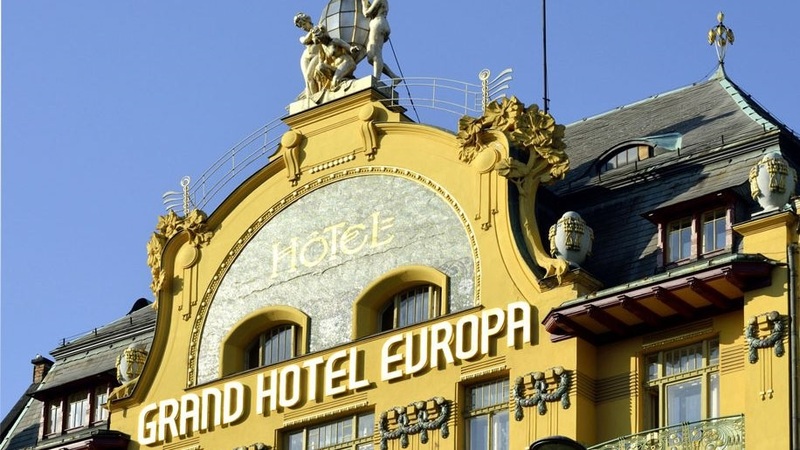 The hotel will be a renovation of the former Grand Europa Hotel, a radical art nouveau style property that pushed boundaries when it originally opened in 1905, and will do so again with the W brand’s progressive design and innovative spirit. The historic structure will be combined with a modern new building to create a stunning blend of old world glamour and bold, contemporary design. “As one of Europe’s most exciting and diverse destinations, Prague is a perfect fit for the iconic W brand and is certain to push new limits for Prague’s vibrant hotel scene when it opens in 2020,” said Sandeep Walia, Area Vice President – Luxury Brands, Western Europe, Marriott International “We are pleased to be partnering with PPH Evropa and Prague Prime Homes Management, and we share their confidence that this hotel will bring a new social scene to an already pulsing global city.” Restored historical elements of the former Grand Hotel Europa will set the stage for W’s bold and vibrant design, complemented by a stunning new oval-shaped extension. The two buildings will be fully connected to create 154 stylish guestrooms and suites, including the Extreme Wow Suite – the brand’s lavish take on the traditional Presidential Suite. The groundbreaking SPG Keyless entry system will enable guests to use their smartphone or Apple watch to unlock their door and enter their rooms. Over the next 6 months, Business customers travelling on board Air France long-haul flights will discover a brand new comfort kit. This new model is available in four colours – blue, grey, orange and turquoise. Inspired by a “Toi & Moi” design, the Business kit features two suede pockets that are closed by a metal zip, with a shiny leather flap that flips over the top. This new elegant and practical kit contains numerous special touches and Clarins beauty products that customers are invited to take home with them after the trip. 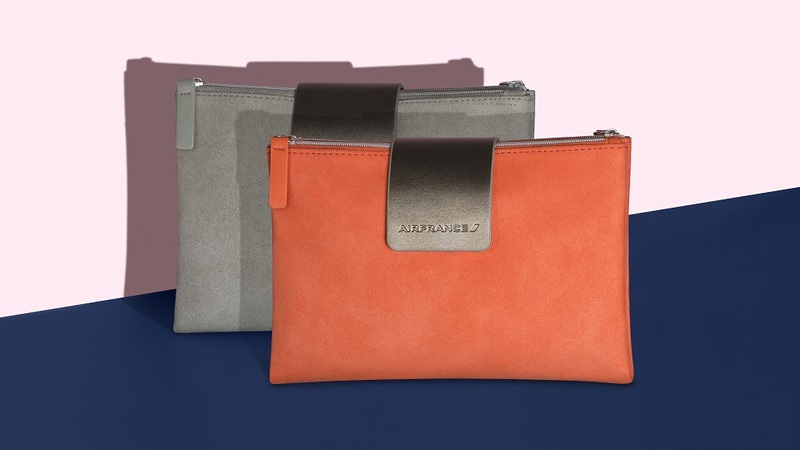 Air France also luanched a new amenity kit for its First Class passengers. Air France states that its La Première kit will become a useful item in their customers’ daily lives, a great place to keep watches, jewellery and other personal belongings. An elegant object in its own right, the new kit, with “designer” detail, bears the La Première logo and the seahorse, the symbol of Air France. This exclusive model, available in two colours, invites each passenger to enhance their beauty in the sky thanks to four carefully selected Carita treatments. At three events held simultaneously las week across Canada in Toronto, Montreal and Vancouver, Air Canada unveiled for its customers and employees, a bold new livery inspired by Canada for its entire fleet, elegant new uniforms for its employees, and a taste of some of the new onboard menu offerings that its customers can look forward to. Air Canada’s fleet of 300 mainline and regional aircraft are being repainted in a bold black and white design that highlights its iconic red maple leaf encircled ensign, or “rondelle,” that returns to the tail of the flag carrier’s fleet after an absence of 24 years. Reflecting Canada’s vastness and contrasting seasons, with references to its wildlife and First Nations heritage, the new fleet livery was designed by international design firm Winkreative. With the new livery providing a sleek, contemporary backdrop, Air Canada premiered elegant charcoal grey and black employee uniforms with red accents and accessories by Canadian designer Christopher Bates. The stylish uniforms combining urban chic and international flair complement the charcoal greys, natural tones and red accents featured in the new interior cabin design of Air Canada’s international fleet. Kempinski is delighted to announce that it will open its first hotel in Cuba in the second quarter of this year. The Gran Hotel Manzana Kempinski La Habana is located within the historic Manzana de Gómez building in the heart of Old Havana – a UNESCO World Heritage site. Even before it has opened, the hotel is causing much excitement – not only in Cuba. Guests can choose from 246 luxury rooms and suites, ranging in size from 40 to the stunning presidential suite’s 150 square metres – all with ceilings of four to five metres. The rooftop terrace and swimming pool, with views over the old town, are just one of the many highlights. There will be a spa managed by Resense, which offers guests more than 1,000 square metres of pure relaxation, together with a choice of three restaurants, a lobby bar, cigar lounge, and a business centre makes sure guests will have everything they need for a truly memorable stay. 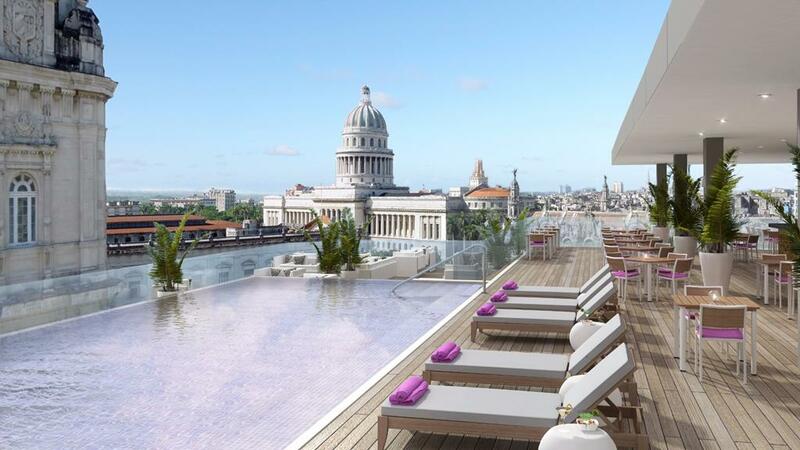 There is no doubt that this new luxury hotel, in the heart of Havana’s most historic area, next to the city’s most interesting sights, is destined to become the place to be in Cuba’s capital. 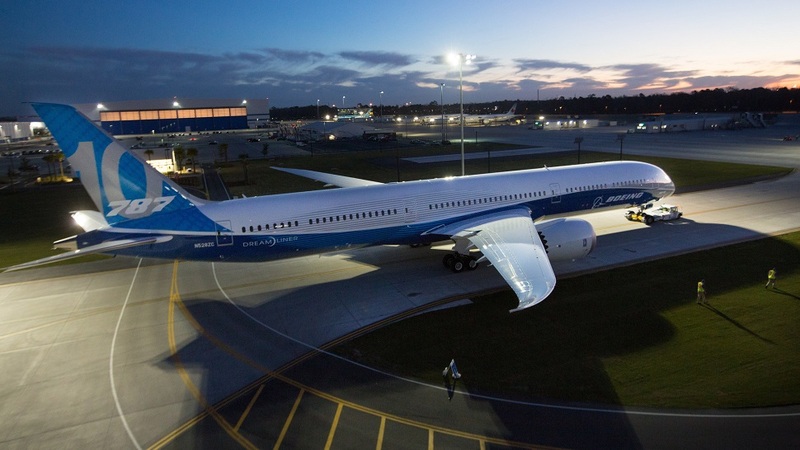 The Boeing 787-10 Dreamliner, the third member of the 787 Dreamliner family, made its official debut last week at Boeing South Carolina. Thousands of employees at the North Charleston, S.C. site celebrated the event, along with U.S. President Donald Trump and South Carolina Governor Henry McMaster. “This airplane, the most efficient in its class, is the result of years of hard work and dedication from our Boeing teammates, suppliers and community partners in South Carolina and across the globe,” said Kevin McAllister, Boeing Commercial Airplanes president and CEO. “We know our customers, including launch customer Singapore Airlines, are going to love what the 787-10 will do for their fleets, and we can’t wait to see them fly it”. Boeing will deliver the 787-10 to airlines in 2018. The airplane has won 149 orders from nine customers across the globe. The 787-10, the longest model of the Dreamliner family, will grow the nonstop routes opened by the 787-8 and 787-9 with unprecedented efficiency. As an 18-foot (5.5-m) stretch of the 787-9, the 787-10 will deliver the 787 family’s preferred passenger experience and long range with up to 10 percent better fuel use and emissions than the competition. The 787 Dreamliner family is a key part of Boeing’s twin-aisle strategy, which offers a modern, optimized and efficient airplane family in every market segment. Since entering service in 2011, the 787 family has flown more than 140 million people on 530 routes around the world, saving an estimated 13 billion pounds of fuel. The new A350-900 was presented to the public this month in Munich with a spectacular light show and an official unveiling ceremony in the Lufthansa Technik Hangar. A media show with light projections served as a 10-minute “fireworks”. 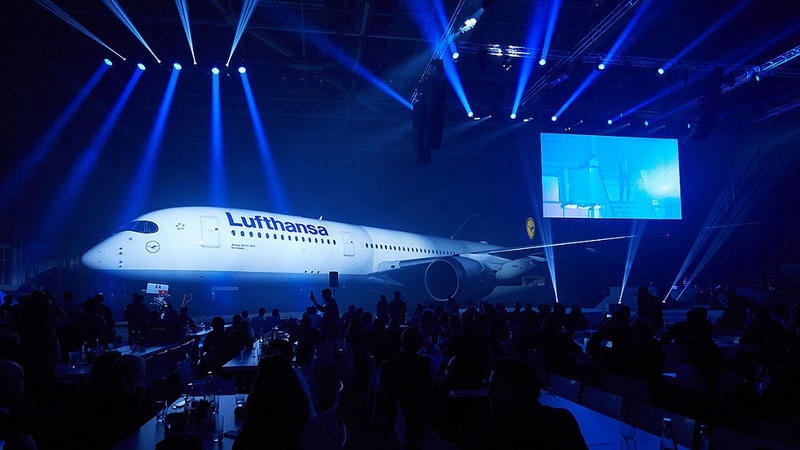 In the presence of 2,000 employees and guests, the world’s most advanced long-haul aircraft was then christened and named after city of Nuremberg. The Senior Mayor of Nuremberg, Dr. Ulrich Maly, took on the role of the aircraft’s ‘godfather’. There were also speeches from Carsten Spohr, CEO of the Lufthansa Group, and from the Bavarian Finance Minister, Dr Markus Söder, Dr Michael Kerkloh, CEO of Munich Airport and Thomas Enders, CEO of Airbus. „With the A350-900 we introduce our 2-liter fleet, a milestone in our fleet strategy as its entry into service marks a generational change on long-haul routes”, Carsten Spohr says in his address. Lufthansa will be stationing the first ten Airbus A350-900 aircraft in Munich. The first destinations will be Delhi and Boston. The aircraft will have room for 293 passengers – 48 in Business Class, 21 in Premium Economy and 224 in Economy Class. The A350-900 is the world’s most advanced and most environmentally friendly long-haul aircraft. It uses 25 percent less kerosene, produces 25 percent fewer emissions and is significantly quieter on take-off than comparable types of aircraft. The World of Hyatt loyalty program will go live on March 1. The new program was announced in October to provide existing members a clear view into the changes. With understanding as the guiding principle, the loyalty program was designed based on listening and taking action. There are more tiers and more ways to earn status, which allows for more meaningful rewards and benefits for members. The tier names – Discoverist, Explorist, Globalist – reflect the aspirations of members as they travel and expand their world. And the rewards and benefits, such as providing more ways to earn free nights, reflect what matters to them most. “With World of Hyatt, we don’t just want to welcome you to our world, we want to understand yours,” said Jeff Zidell, senior vice president, loyalty, Hyatt. “We listened and reimagined our loyalty program to emphasize more meaningful rewards and benefits at every level. More than just great locations, luxurious rooms and amenities, World of Hyatt is about connecting you to the people, places and experiences at the heart of your world”. World of Hyatt is also building personalized experiences to promote understanding through travel. These experiences are designed to bring the World of Hyatt community together to learn, connect and celebrate the world. Collaborating with AFAR, a company that was founded on the notion that travel brings about understanding, allows World of Hyatt a way to engage guests beyond traditional hotel stays.